Community Acupuncture is modeled after the traditional way acupuncture is practiced in China where treatment is widely used, more frequent and affordable for everyone, and provided in a supportive community healing environment. The words Community Acupuncture when put together represent the connection and the contract between Acupuncture and Communities. 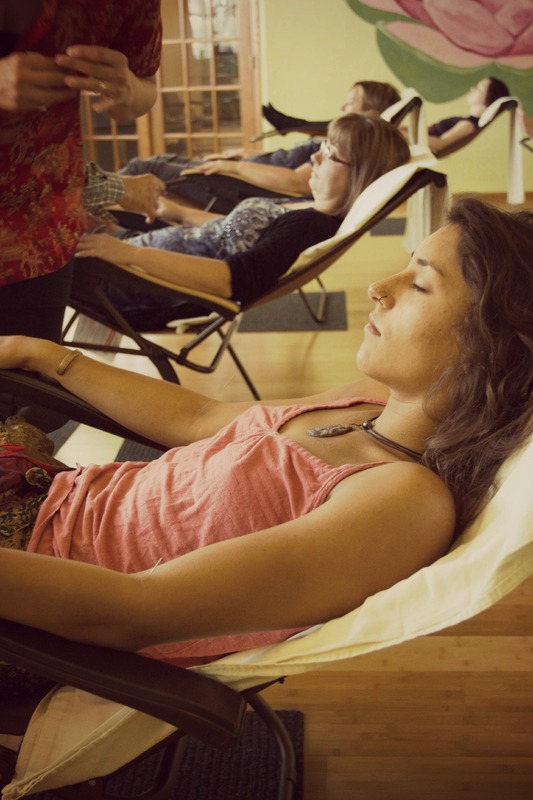 Community Acupuncture is not just describing a one-way relationship of the acupuncturists to their communities, but the relationship of the communities to the acupuncture, to the clinic, and to the practitioners, and other staff. Acupuncture is often defined by the community of acupuncture practitioners as one part of the major practices of Traditional Chinese Medicine. But it is not just those who practice, or are licensed to practice, or educated to practice acupuncture who get to define what acupuncture is and isn’t. With Community Acupuncture, the definition cannot only come from those delivering care, but those who are served by acupuncture must have also have a role in defining it. To define acupuncture as a technique, or part of a body of knowledge, leaves out its active role in those who are most affected by it: our patients. Without our patients and community members we would have no practices or clinics at all, no income, no referrals, no supporters, no critics, no dynamic force to propel us forward as individual clinics, but also as a growing national, and even world movement of affordable healthcare for our communities. A community acupuncture clinic gives a sustained commitment to keeping its doors open during hours that the community needs them to be open and it receives the presence of those who come. The community gives its endorsement of acupuncture’s effectiveness, to the affordable pricing, to the comfort and accessibility a community acupuncture clinic, and it receives a reliable resource to maintain or improve the health of its members. At the root of every helping profession is altruism, or the desire to help others bear their burdens. But altruism alone cannot sustain our choice to join the acupuncture profession and to bring this beautiful, simple, and effective medicine to others. Acupuncture is also a source of livelihood for its practitioners.